At my work, buffets are renowned. We used to have them at the drop of a hat for any special occasion such as weddings, baby showers, folk leaving, even Halloween ones. We don’t have them quite as often as we used to now sadly, work is a very busy place and there's not as much time. But a couple of Christmases ago (sorry for using th ‘C’ word there) one of the bosses brought in something I had never heard of before. It was a bit like a pizza sans the tomato sauce with lots of charred onions and pancetta over it. Instead of the tomato sauce was a delicious creamy concoction I couldn’t quite place. It was called a flammkuchen and I have been meaning to try making one ever since. Researching the flammkuchen, I discovered that it is also called a tarte flambée or simply an Alsatian pizza (nothing to do with the dog, rather Alsace in France). Whatever it’s called it was good. A basic pizza dough topped with a mix of cream and crème fraiche as the sauce and then the thinly sliced onion on top and pancetta or bacon lardons scattered over. It’s then placed in the oven and baked at a very high temperature for only 12 to 15 minutes. That’s it. The onions do crisp and caramelise, which I like, but if you prefer not quite so dark onions, take the flammkuchen out of the oven when they start to turn. Although not traditional, I decided to add homemade dried baby plum tomatoes on top for a bit of sweetness. To make these I simply chopped a punnet of the tomatoes in my brand new Grape and Tomato Slicing Guide from OXO Good Grips. This tool is going to be used so much in my kitchen. 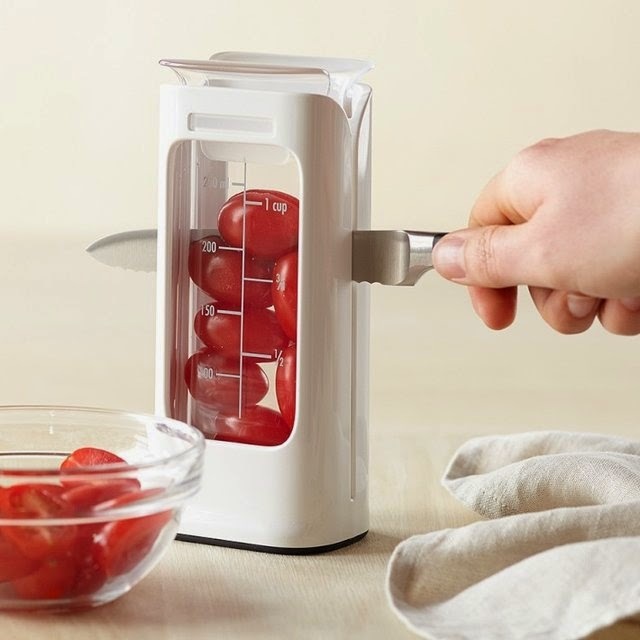 You pop your tomatoes in the device and with a serrated knife slice through loads of tomatoes in one fell swoop. I love it as it saves so much time. 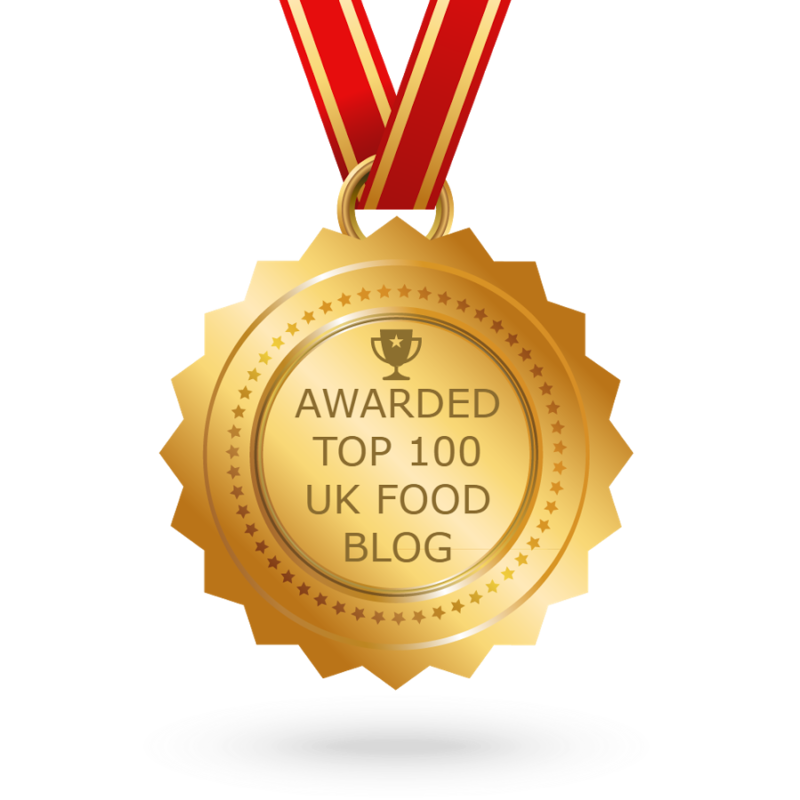 As the name suggests it can also be used for grapes, but any small fruit or veg, such as pitted olives or those wee South African gooseberries for example. The walls of the ‘chamber’ move to accommodate thicker or thinner items and it all comes apart so it can be washed thoroughly. To make these tomatoes I always start the night before. 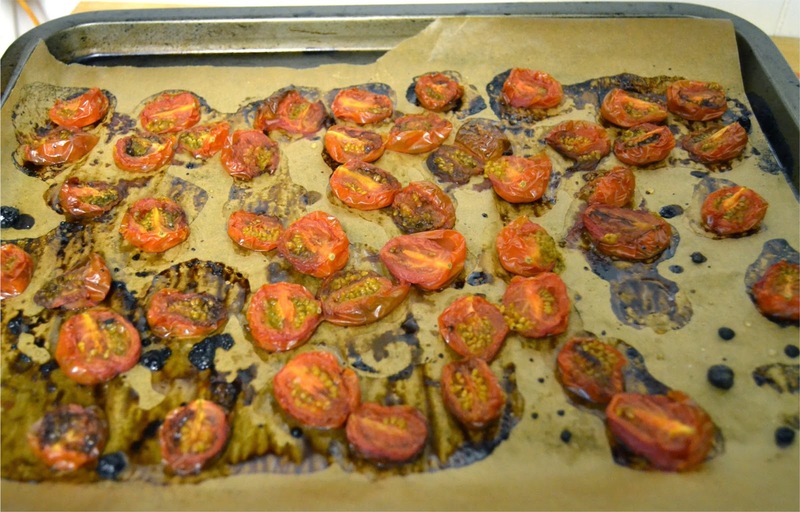 I pre-heated my oven to it’s highest temperature (250C in my case) and scattered the tomatoes on a baking tray, cut side up and sprinkled with salt and drizzled with a little balsamic vinegar. Place the tray in the oven for 5 minutes at the high temp, then turn the oven off. Leave the tomatoes overnight and in the morning they are little shrivelled sweet beauties. All the flavours condense and I knew they would be a great addition on top of the flammkuchen. Like pizza, but less tomatoey! Make the dough firstly, by activating the yeast. Mix a couple of teaspoons of the warm water with the yeast. Let it sit for a minute or two and in the meantime mix the flour, salt. Add the yeast, rest of the water and the olive oil and mix by hand until a dough forms. 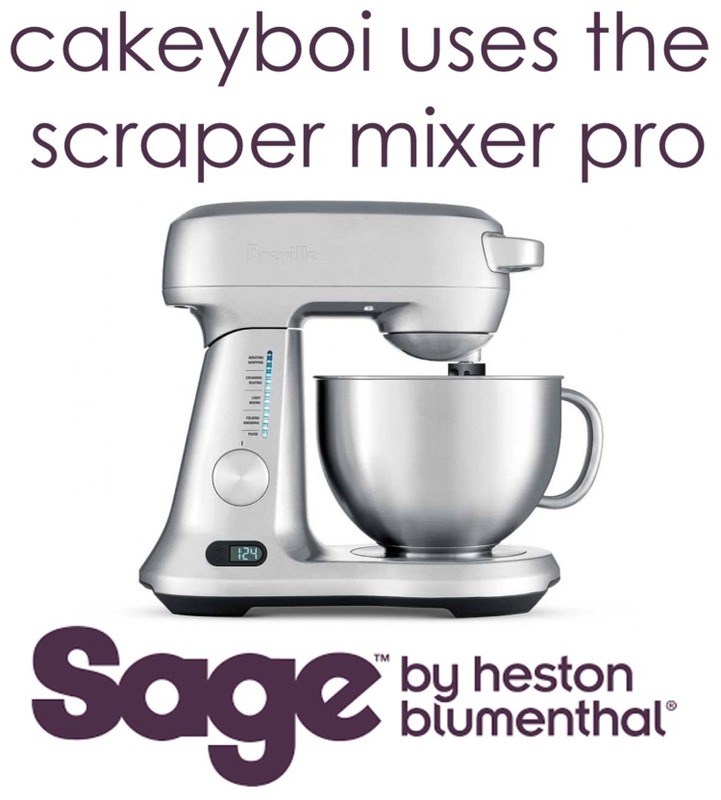 Turn it onto a floured surface and knead for 5-6 minutes. Place in a lightly oiled bowl. Cover and let it prove for 1 hour. After the hour knead the dough again for a few minutes and divide into two balls. Let these prove for another 30 minutes. In the meantime, preheat the oven to its highest setting and place a pizza stone or an upturned baking tray in the oven to heat up. Mix the crème fraÎche and cream then season to taste with the salt, pepper and nutmeg. Slice the onion into thin slices. Take each dough ball and roll out as thin as you can. Spread half the cream mix on each pizza, almost to the edges, and sprinkle each with half the sliced onion, half the bacon and half the tomatoes. Carefully place each pizza on a piece of greaseproof paper and place on the heated stone or tray, baking in the oven for 12 to 15 minutes or until the edges are lightly golden and the onions have crisped. Remove from oven and then slide off the greaseproof paper. Slice into edible pieces and enjoy! Disclosure Statement: I received the tomato slicing guide free to review. Any opinions expressed are my own. This looks like a dream! I love anything pizza related, will have to try it out! I've heard of these but never seen one - it looks delicious- great chopping device too, I love a gadget! Saves SOOOO much time FreeRange! Stuart this look sooo delicious! !